Maybe it was the cool intensity of the high altitude sun and the smell of fresh, clean air. Maybe it was because I felt better than I had in days – my stomach was happy and my energy was back. Maybe it was because we were out on the water; I don’t know if it’s water’s negative ions or just my natural affinity for water as a scuba diver, but going out in a boat always feels like a new adventure. 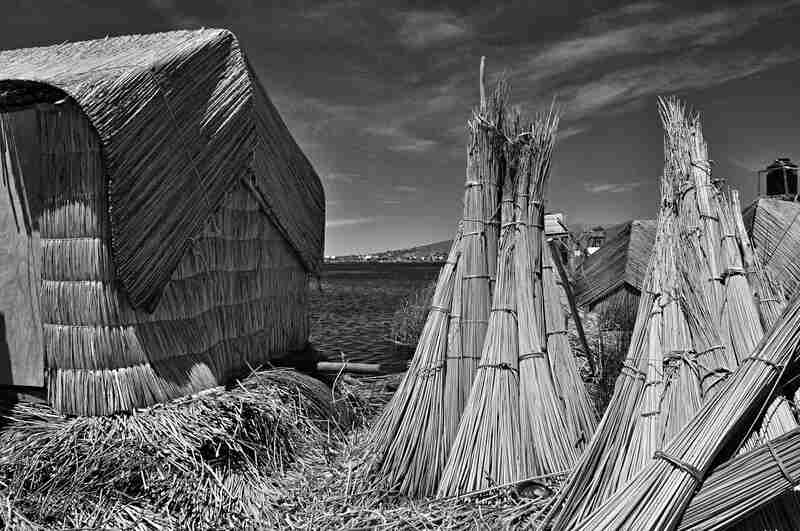 But mostly it was because we were in one of the unique places in the world, Lake Titicaca, visiting the Uros Islanders. So what’s the big deal? The world is full of islands, and many have distinct populations. But while the Uru people are unique, it’s the islands themselves that set the place apart. 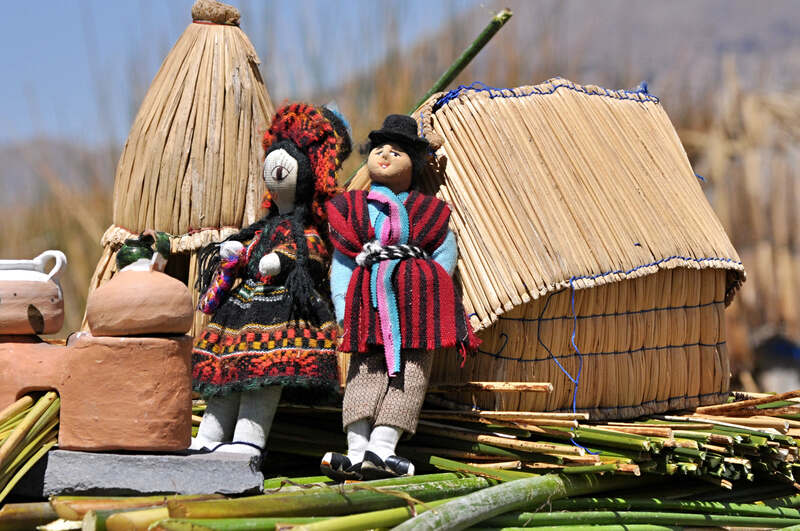 And they’re man-made, out of totora reeds. Reed boats have been around for ages. 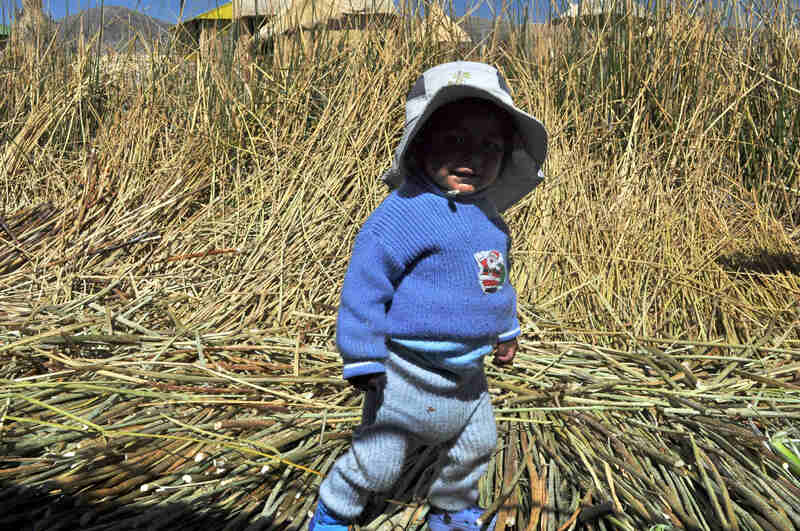 The earliest evidence goes back 7000 years in Kuwait, and even the Bible refers to baby Moses setting sail in a reed basket. Odds are the Uru developed their boats separately, although Thor Heyerdahl tried to prove a connection back in the 70’s with questionable success. Why not? Floating islands can occur in nature, when growths of cattails, bulrush, sedge, or reeds extend outward from the shoreline of a wetland. 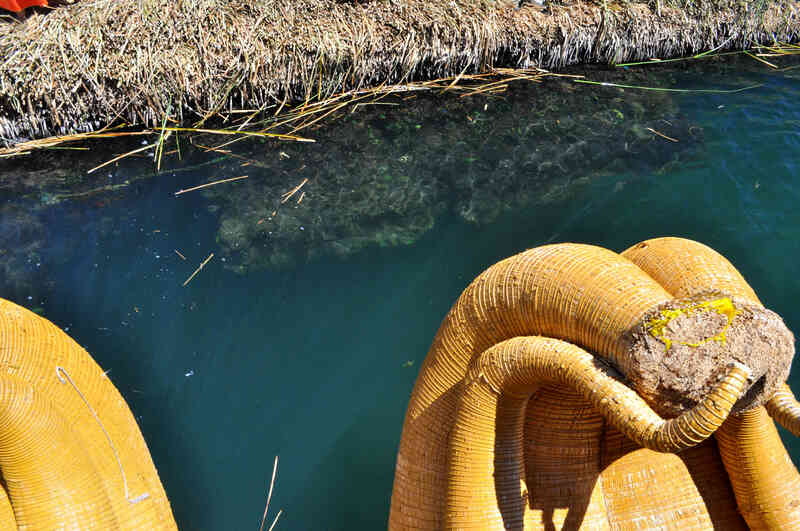 Once the extension gets into deeper water, the plant’s root systems bind the plants together and the vegetation floats. If a storm comes along, the connection to shore can be severed, and you get an instant island. 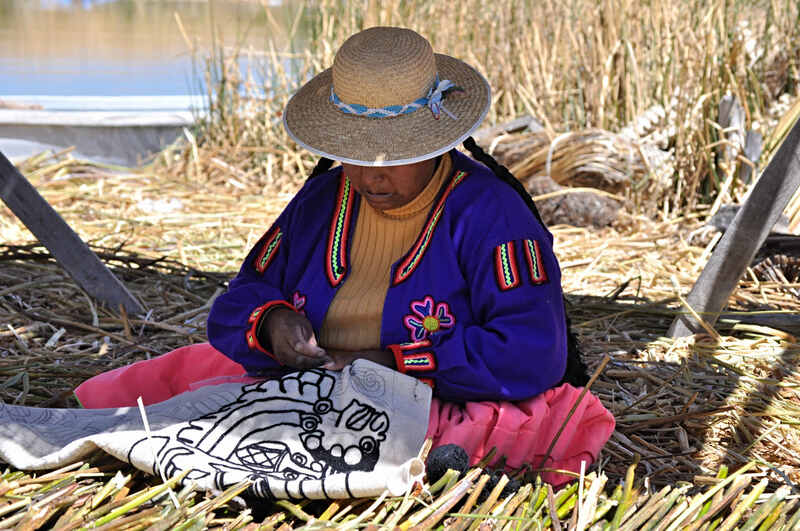 The Uros predate the Inca, but were also contemporaries that were subjugated by them. 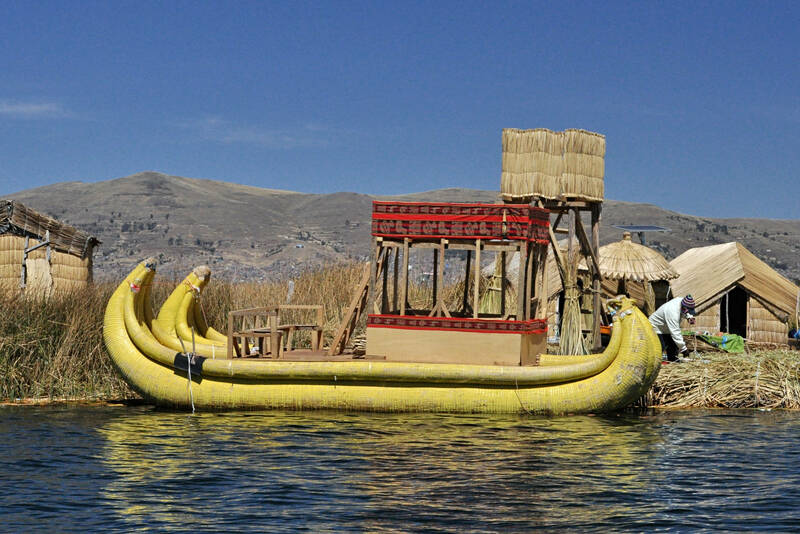 One theory for their inhabiting the floating islands is as a defensive measure, a way to get away from the Inca and other enemies. It’s one thing to hang out on a natural floating island, getting your feet wet in a swampy bog while your enemies wave spears from the shoreline, it’s another to make it a permanent stay. Floating islands need maintenance, especially if they’re to support much weight. Plants don’t live forever. Once they die, they need new plants to grow in as replacements while the old ones rot away. For the Uru, rather than depending on enough new plants to grow in and stomping them flat, they harvest reeds from the shore area and spread them in layers on top of the old, disintegrating reeds. In the dry season, a new layer can last a couple months, in the wet season only a couple weeks. The rotting layers compost into mats that can be several feet thick – this is enough to support dry habitation. So what stops an island from floating away, sailing in the breeze, smashing into the shoreline or your neighbor’s island? Anchors, of course. It wasn’t clear how they set them. I do know one island we visited was in chilly water about 55 feet (17 meters) deep, that’d be a tough free dive if you still had to pound stakes in the dim bottom light. 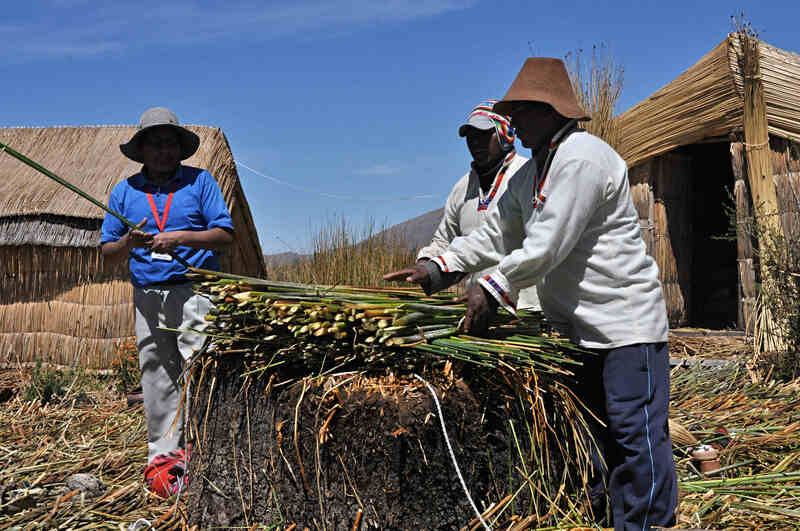 The Uru use reeds for more than just maintaining islands and building boats, they’re also material for housing, fuel for fires, cooling compresses for a hot day, even food. Walking around an island has an odd feel, it’s almost like walking on pillows. Consider walking on a gigantic waterbed, where every step the ground gives a couple inches. My sore back loved it, another reason that smile kept wrapping itself around my face. 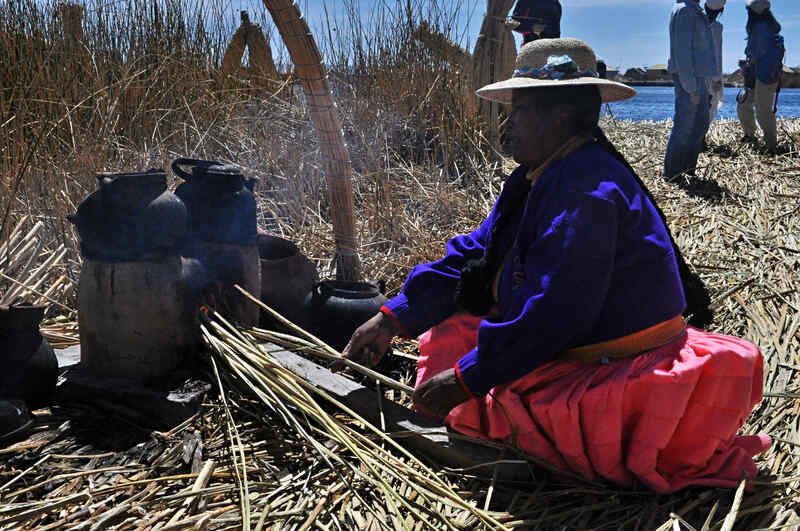 You’d think cooking on an island full of dried reeds would be a major fire hazard. How do they do it? They’ll set out flat rocks as a base, then build the fire within clay ovens. 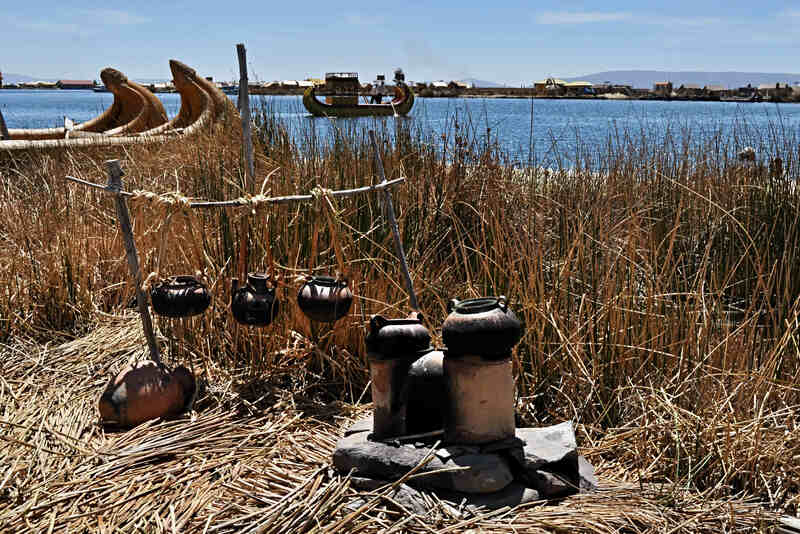 Iron pots sit atop the oven, reeds get fed into a small opening to stoke the fire, and hot food is the happy result. This can also serve as a campfire, one can only imagine how cold it gets at night at 12,500 feet. 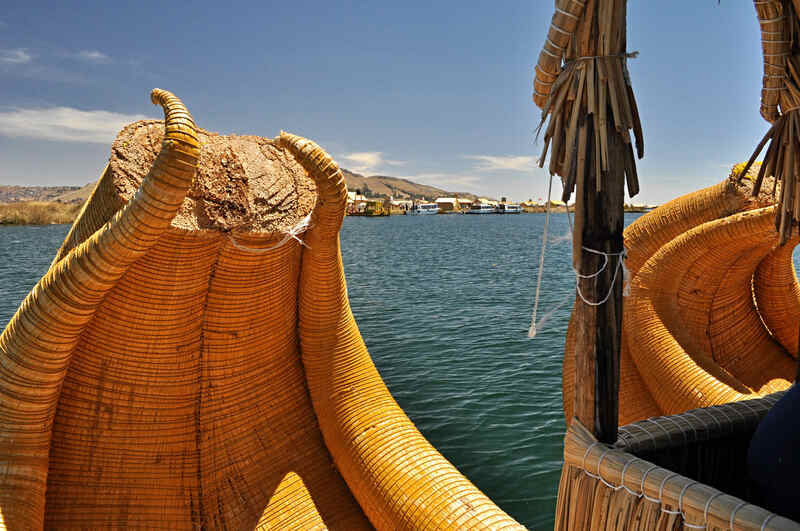 Oops, that’s right, I forget to mention Lake Titicaca (cue 8-year-old boys tittering at the name) is the highest navigable lake in the world, as well as the largest lake in South America. 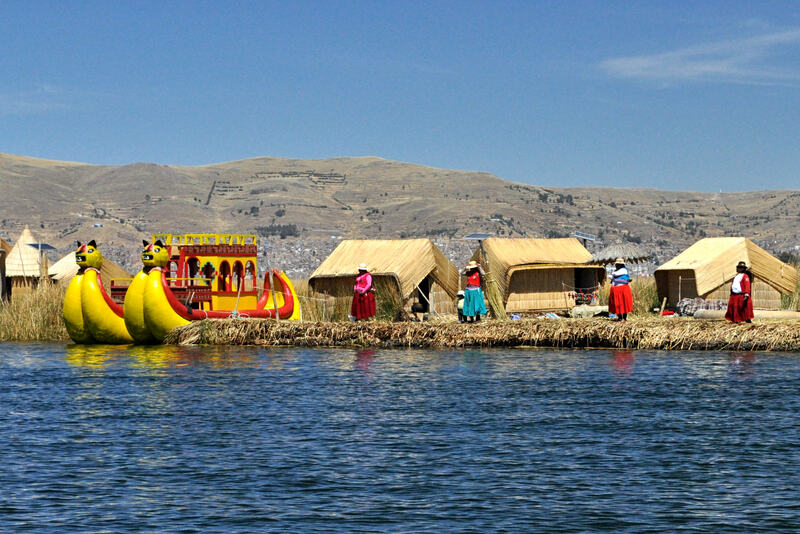 There are few Uros left living the island lifestyle, maybe 2000, and a cultural observer might object to the idea that the Uru lifestyle has turned into a Disneyland ride. But it’s a trade-off. Islanders that object to plying the tourist trade, and there are a couple hundred, simply move their islands off the beaten path. But they have a subsistence based life and little chance for any extravagance, getting ahead, or sending their kids to school. Most kids, with the city of Puno next door aren’t into it, and they abandon the culture once they’re old enough. Those who invite tourists do sacrifice privacy, but can still live the island life and share the culture with the outside world. They make extra money giving reed boat rides (only 10 soles, about 3 dollars US) and selling crafts. And they are quite crafty. 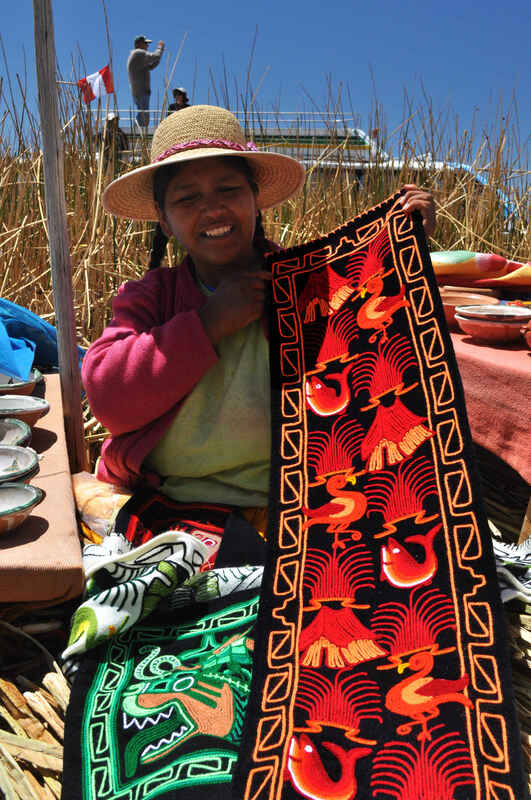 With the extra money, they can do trade in Puno, buy things like solar panels and TV, and send their kids to school. This makes a life in the islands more attractive to the kids when they grow up. On one island, they’ve even built a couple “cabins” for overnight visitors, and have upped their game with serving food the average foreigner can enjoy, rather than the bony little fish that are a more typical part of the Uru diet. The Uru people were a friendly, gracious bunch. But supposing you’re an Uru, sharing a small island with another family, and congenial relations suddenly turn ice water cold. What do you do? It’s not like there’s a real estate market for empty islands, they need someone living on them for the constant maintenance. The Uru have an original solution. They get a big saw and cut the island in half. Then each will sail off to a new anchorage, moving lock, stock, and reed bunches. Moving islands can solve other problems too. 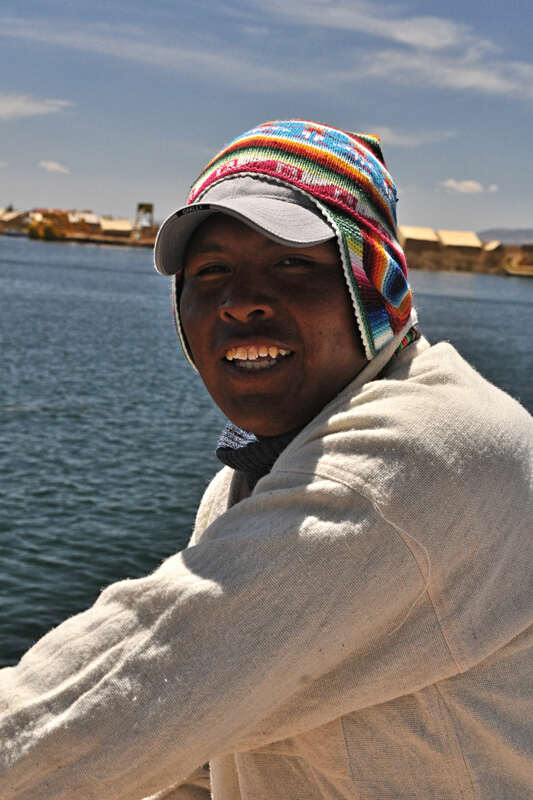 Our guide told a story of a politician in Puno. It seems he saw a potential new tax base with all that tourist money going the islands, and told them they needed to pay up by a certain date. But when the date came and he sent his tax collector to the islands, they were no longer there. This’ll be the last story from the Peru trip. 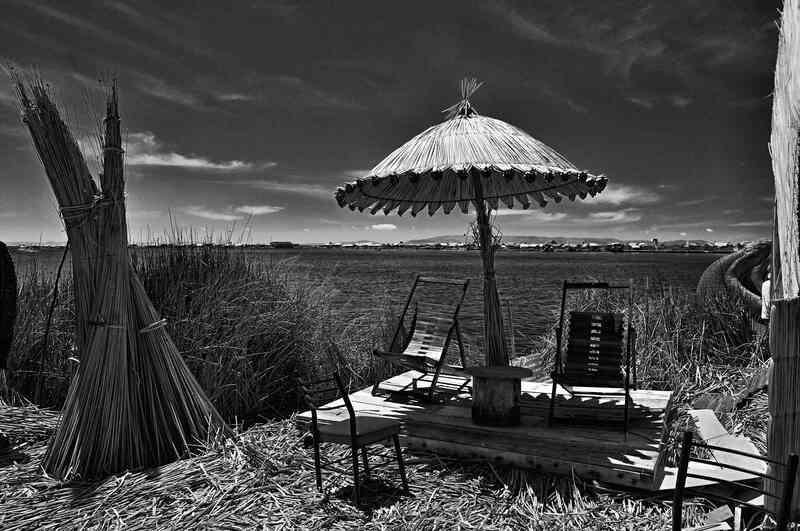 We headed home not long after Lake Titicaca, our heads full of new memories and our hearts full with new joys. I don’t know if we’ll ever return, but the experiences will live on – never to be forgotten. Fascinating. Thanks for sharing, Dave! Did you feel at all sea sick, with the floating nature of the island? And with this being the final Peru installment, where do you have your hearts set on the next adventure taking you? Sea sick? No, it wasn’t that wobbly, it would have needed to be a couple feet, not a couple inches of bouncy bouncy. As for the next adventure, I don’t know yet. Assuming I can shake the sciatica I’m due a warm water dive trip. Turks and Caicos maybe? Excellent post. I liked the details you provided about daily life. 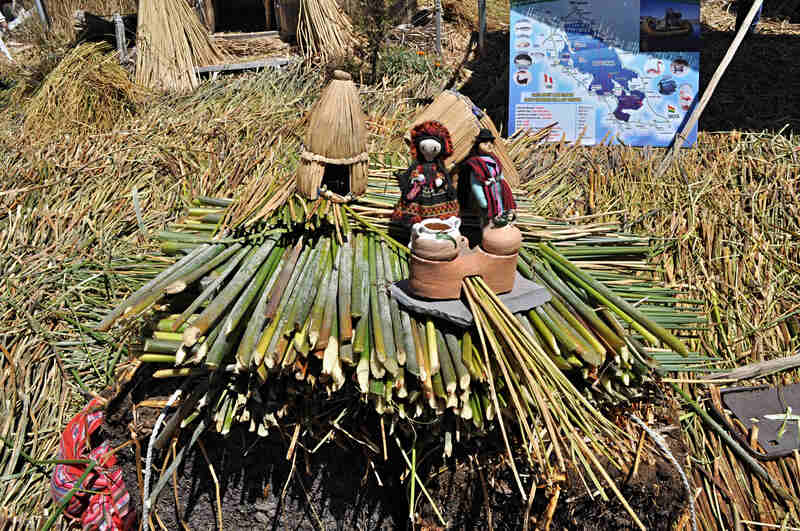 I noticed the solar panels on the island we visited and electrical outlets inside one of these reed houses, and a boom box sitting next to it. Made me scratch my head until it dawned on me that visitors are providing an extra source of income. I also noticed an islander on her smart phone. There are definitely trade-offs in life, and one simply chooses what’s important and at what cost. It has been fun comparing notes. By the way, from all outward appearances, the island you visited looks exactly like the one I visited. The boat looks the same, too. Whaddya know. I wouldn’t be surprised. We actually visited two, the first did the construction demo and the second had the overnight lodging and the reed umbrella and chairs (and Uros passport stamp). There’s something bizarre in the dichotomy between solar panels from the 21st century and reed houses from when – 14th century maybe? Just one of those things that cranked up the coolness factor that gave me the big grin. Yep, it was pretty cool. Well there’s something I’ve never heard of: floating reed islands! How wonderful. Did the rotting vegetation smell? It didn’t. Of course we were there at the end of the dry season, the reeds just dried out and eventually started to disintegrate from wear. I suspect in the rainy season, when a layer doesn’t last as long the rot would be more active. And I thought the floating bridge over Lake Washington was cool…. I haven’t been over that bridge. Maybe we should send up some Reedies. Amazing Dave, what a fascinating and wondrous place to visit. Gorgeous pics, quite cheering on our first day of snow and bitter Winter temperatures. A great read (or reed! ), Dave. Thanks for sharing these, and the whole of the Peru trip. It certainly makes me want to go back and try to see it properly. Glad you enjoyed it Mick, and hope you can make it back someday. Now I just need to figure out what to write about next. We’ll be watching, Dave. And waiting. Glad to add some cheer to your day. Maybe I should read it a few more times too. 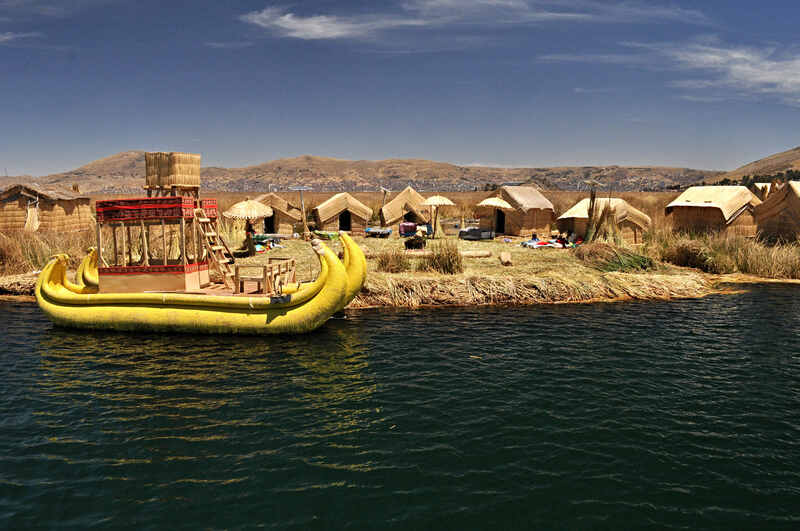 I had no idea there were floating islands in Peru! And it’s amazing that they are able to keep their way of life after all these years. I’m sure the tourists are intrusive now and then, but as you say, it allows them to keep their culture. I think there are always trade-offs in life. Outside of Machu Picchu I’d have to say this was the most interesting stop of the trip for me. It wasn’t just ancient history, it was still alive! What a fascinating post! Thanks for sharing such a unique adventure. Great photos, too! Thanks Kelly. It’s always nice to be able to share something like this, especially with folks who have a real appreciation for it. Good and bad there, I suppose. Narrow mindedness tends to preserve the little sects and varieties, open mindedness tends to merge them into something new. Which is better seems to be a matter of perspective. How much does fear of change affect us? To me it seems like the Uru people will need to accept change to survive. The hope is they can retain most of their culture and dignity while doing it. Great photos, and details. Thank you for sharing! God bless them. These people have so little and are happy. Feel embarrassed with myself, honestly. I suppose happiness is tied to expectations – if you expect much it might be harder to be happy than if you’re expectations are modest. Are they really happy? As much as anyone I’d guess. This one’s a winner, Dave. As a traveller, I’ve always found it fascinating and humbling that I don’t know so much about the world. Your post is a reminder of that fact. It must have been a fantastic experience to witness all of this. Utilising nature for sustenance is not very common today. I guess, we’ve got much to learn from the Uru. In this information rich world it’s easy to get jaded. That makes it all the nicer when you can experience and appreciate something first hand, and especially when it is unique. Wow fascinating. Makes perfect sense given climate change and so many other modern day concerns. Terrific photos and post about a really interesting population. Yes, I suspect there are parallels with other boat people. I wonder if the Cambodian’s history goes back as far? 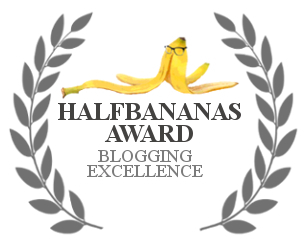 The banana simile is hard to miss. It doesn’t help when they paint some of them yellow. I suppose you could also look at them as a big smile. Over the years [decades], I have often heard of these islands but this is the best article on them I have seen. Thanks Ralie, that’s very flattering. I’ve been a little surprised at the response to this one, it got a lot more attention than Machu Picchu or the other Peru posts. Maybe because it’s like history come alive. Looks like a fascinating place – the boats, the islands, the culture. I’ve read theories about the boats resembling those of ancient Egypt. A strange coincidence? Your photos are fantastic. The black in white, especially, really brings out the textures. It was a fascinating place, both ancient and alive. Thanks – I like dabbling in B/W, and thought the contrast and textures would work well. Great post! The photos are amazing, I am fascinated by this place, the islands and of course they’re culture. Thanks Agness. The islands turned out to be one of the highlights of the trip. And of course learning about the history of Peru during the trip, and more afterwards while writing the Peru series was fascinating. This brought back memories of our visit to the reed islands…fascinating place ! That it is. There’s not that many places in the world that are truly unique – that’s one of them.